Linx Technologies has published a white paper titled, "Considerations for Wireless Range." Author Justin Hopper writes, "One of the first questions one asks when evaluating a wireless system is 'what range will it get?' The answer to the wireless range question is somewhat complicated. The range of a wireless system is dependent on several interdependent factors. Some are internal to the design of the product and some are external. 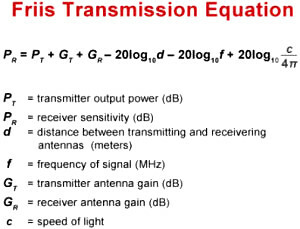 There are ways of estimating the wireless range of a system by taking into account several factors. The first factors in determining wireless range..."
This article is one of the first entries in Linx's new Blog. One of the first questions one asks when evaluating a wireless system is “what range will it get?” The answer to the wireless range question is somewhat complicated. The range of a wireless system is dependent on several interdependent factors. Some are internal to the design of the product and some are external. 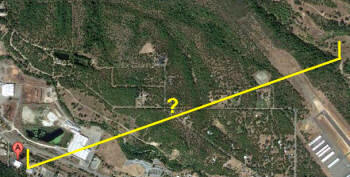 There are ways of estimating the wireless range of a system by taking into account several factors. The first factors in determining wireless range are internal to the design of the system. Justin received his BSEE degree from the Georgia Institute of Technology in 1998 with a focus on radio frequency design. After a few years at Murata Electronics and Panasonic Wireless Design, he came to Linx Technologies in 2003. In that time he has held a variety of roles spanning design engineering, applications engineering, marketing and sales. He currently resides in the Tampa, Florida, area and spends his time working on his house and playing with his family.